Our energy-saving insulating translucent membrane roofing systems made with aerogel deliver light and bright daylit building interiors and endless possibilities for modern architecture structures. 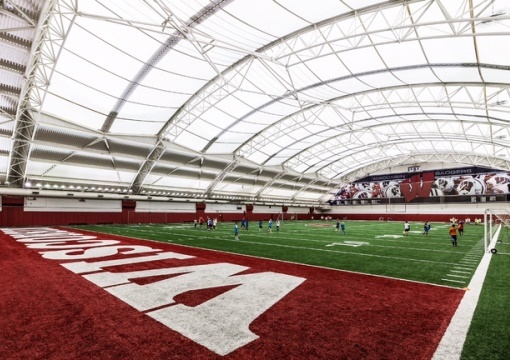 The Dedmon Athletic Center is the world's first tensile structure roof insulated with LUMIRA® aerogel. Birdair is the leading specialty contractor for custom tensile membrane structures including TENSOTHERM insulating translucent membrane roofing system made with LUMIRA® aerogel.